Yeah, silly me for thinking that the best way to cool oil and coolant is with better..... coolers. I must be old school. Ethanol is NOT a replacement for better coolers. There are certain benefits for sure, and the power bump is nice (not enough power isn't my most pressing issue), but that statement is just flat out wrong. $8/gal at the track and I usually go through ~40gal on a weekend. Beats towing a trailer with 80gal of E85. Better way to do it is to CREATE LESS heat to begin with. The combustion even for Ethanol/E85 creates about 300 degrees LESS heat that 91/93/Race Fuel. That means that your cylinder temps are lower = less heat your pistons, heads, cylinder walls see = less heat your cooling system needs to even deal with in the first place = ZERO need for 44o cooling. AND more power than race gas @ under $2 a gallon. I can 100% see if you don't have it locally available. We don't need to get ugly over it, but 44o just seems like more of a band aid than a proper solution. Was just reading the thread again to catch any points I'd missed and seen your post. E85 here is pretty much non-existent. But that being said, I can have 120 litres delivered to me for £120GBP....my fuel tank is 59l (let's say 60l for this example). At a ratio of 50/50 (is the 25whp gain claim based on a 50:50 mix, or is it the max 80:20? ), I'll be using around 30l of E85 per tank, which gives me 4 tank fulls...which will probably last me 2 months (I haven't taken into account the higher fuel consumption though). On the basis that 98 RON fuel is around £1.30GBP here, as long as the fuel consumption is only around 10% worse off, it wont really be costing any different to normal (assuming my math is correct...which it usually isn't). 20% worse fuel consumption....probably still wouldn't bother me much, on the basis that the power will be a lot stronger all over the powerband. So yeah...question for you Dave is...by running a 50:50 mixture, can the ~25whp increase be seen? 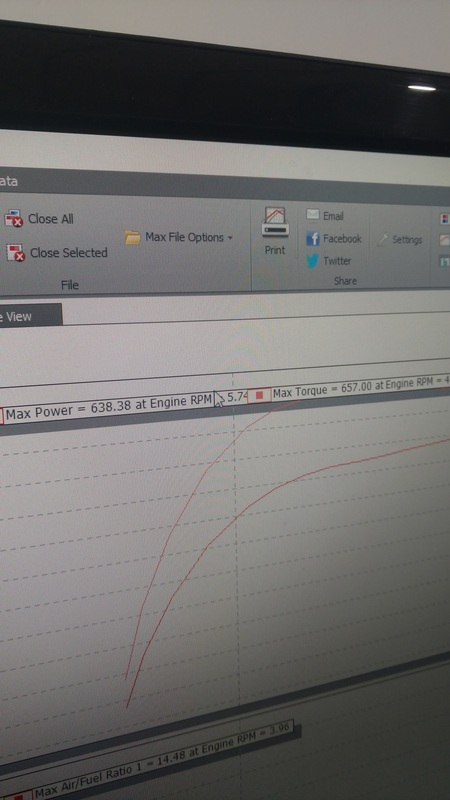 Also does the 25whp gain apply for just running E85 on the existing tune of the car? For the sake of streetability, I think I'd prefer not to have to worry about switching maps around for daily driving n stuff. The question of ratio can be a tough one, because actual % can vary (unless you can get a guaranteed % at the price you stated). You want between 70-80% for max power on the NA M156. so you'll have to do some more math to figure out the exact mix that will get you there based on the fuel you have available. And yes to you other question, advertised power is based on your CURRENT tune, with more being available with the "HotMap"
I know this is your thread Dave, and I wish you the best of luck with this kit - it's certainly good for some people and as a happy EC customer I want you guys to do well. But what you said here is a total joke, and makes it look like either a) you have no idea what you're talking about, or b) you're just desperate to sell more of these kits by throwing out total falsehoods and wild claims hoping that something sticks. No person who actually knows these cars can say with a straight face that the 44O kit is a "band aid". Maybe you're confused what I'm talking about. Here's what I mean by "band-aid". MB - "Oops, our cars go into limp after a couple hard laps on the track on the vehicle that is our most *track ready* offering"
You just can't drive them hard for long, on warm days without having cooling issues. All I'm saying. MB fix - sell more coolers. Car should have come with them from the start. yes I figured the ECU would target fuel trims to compensate for the injectors but my main concern with people without a specific tune would run dangerously lean up top end when using e85. right now I'm seeing 13.2 up top and I don't want to go any leaner.even with bigger injectors won't the car lean out on e85 with the map demanding more fuel? I'm at 442whp on 93 map and have not tested 104 map as it's winter up here and the car is stored. The system targets your commanded AFR (based on commanded PW) if you have enough pump and injector - you won't run any leaner than what's commanded in your 93 tune. Another little update. Finally had a somewhat dry day here. On my way to work when I decided to get on it. With brand new rubber the car spun its tires shifting into 3rd and I had even put the throttle down all the way. It's never done that before so I was a little shocked. I've been getting decent gas mileage too out of it. My last fill up was saturday and I'm still above a 1/4 tank and the car is my daily driver. This has certainly been my favorite mod to the car yet. Just an example I ran e85 on my evolution ix for years, I decided to remove the oil cooler once my built motor went in and the ambient temps where much lower then when the car had an oil cooler. Update on the E55 platform! 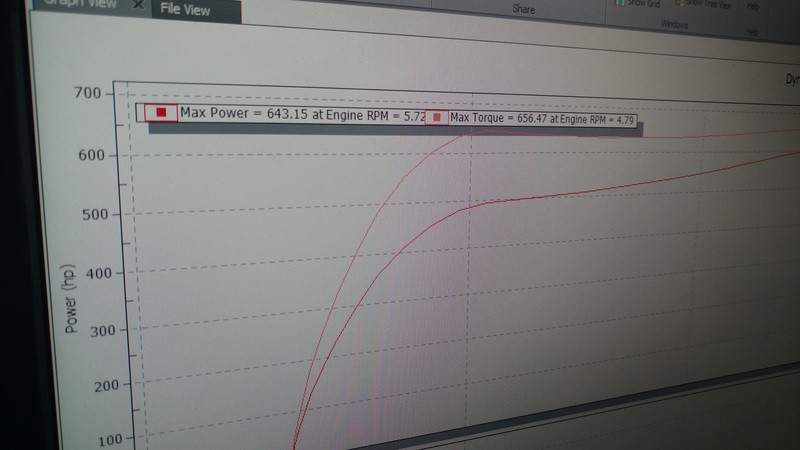 We have been building a sort of "Frankenstein" E55 around here, and we just had it on the dyno today. Naturally, as we are Eurocharged ATX, Jerry handled the tuning on this monster of a car! Picked my car up today and initial start up was fine. Every start up since has been normal. Rough idle after start up just once but no check engine light. Initial thoughts....it's different. Haven't had time to use E85 but I will tomorrow. Full tank of it. But without it, surprisingly the car shifts better lol. Sounds different inside the cabin in a good way. Idling is calmer and quieter if that makes any sense. Tomorrow I am filling up with full tank of E85, I will report how she feels. Probably wont dyno because number never meant sh*t to me. I'll see if I have time. Filled up today with 3/4 E85 and 1/4 93 octane. Car feels great. You can deff feel the extra power. I'll try and do a dyno. When you get an e85 kit, don't you have to tune the car specifically for it? Have you not read any of this thread? The flex fuel sensor compensates for it. No you dont have to. You can if you want but Im still on an OE tune with the kit. you can call the shop if you have any questions - Thanks! What about nitrous combined with your e85 kit? We have not tested a car with nitrous, but as long as you have enough fuel for it - there is no reason why it wouldn't perform well. I'm located in NYC as well and I am also going to bergen imports to install the e85 kit...How do you like the kit? love it man. Car seem to love it too. I switch back and forth between E85 and 93 and no issues.